Auto Glass Master, the name says it all. We have mastered all things auto glass so you don’t have to worry about it. Auto Glass Master Inc. is a locally owned and operated, full service auto glass replacement facility. We provide high quality, mobile windshield replacement services to Dacula, and the surrounding communities in Georgia. “Quality in Motion ” is our business motto. So if you need a windshield replacement, our mobile auto glass services can come to you at home, at work, or at play to fix all your auto glass needs. Most drivers don’t realize how important the glass in their vehicle is to their overall safety. Auto Glass Master does realize the important safety related issues, and we make your safety our highest priority. 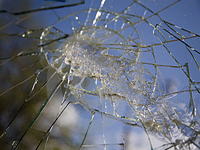 Auto Glass Master has been replacing broken auto glass for over 20 years. Our Technicians are trained in the latest windshield installation techniques. Auto Glass Master is committed to making your experience with us a pleasant one. We trust you will find outstanding quality, at a great value, backed by professionalism. We highly value each and every customer and eagerly anticipate servicing your auto glass needs. Call (770) 271-8181 for the masters of auto glass service - Auto Glass Master Inc.
We also service other cities. Please call 770.271.8181 for service in your area.